We have several cats with funny personalities and Bunny is one of them. She's a happy little girl who has no problem letting you know you're late with dinner or that you need to sit down because she wants her lap time. 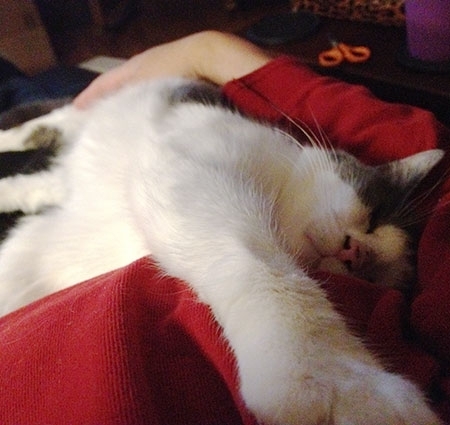 Bunny was found walking along a dirt road in rural Texas by a kind soul who picked her up and brought her to us. 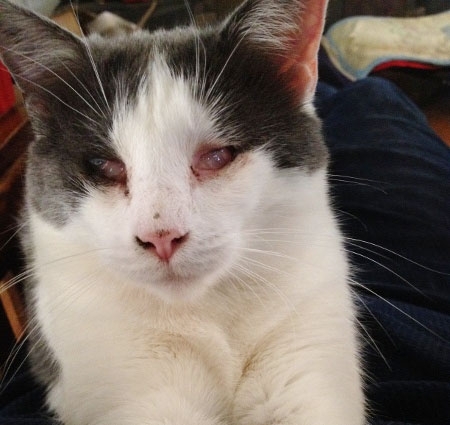 How she survived as a blind cat is anyone's guess. 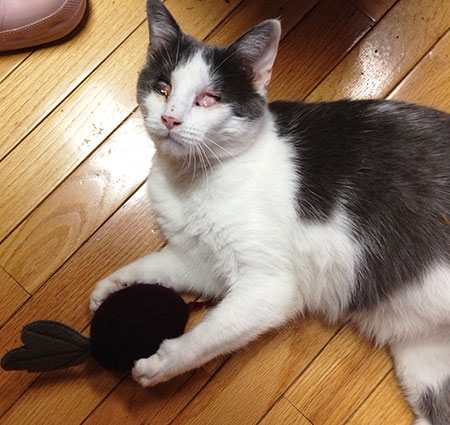 The vet determined she was blinded intentionally. It breaks our heart that someone could do this to an innocent creature, but the blindness has never broken her spirit. She's a happy little cat who is always up for fun and adventure. 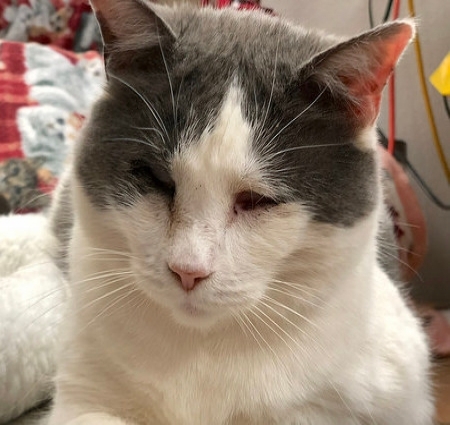 I sponsor Bunny because her personality reminded me so much of my cat at home and I love that being blind doesn't stop her from sharing her personality. Want to be another Sponsor for Bunny? Our kitties can certainly use more than one Sponsor. Click here to become another Sponsor.